Rhonda. Thank you for asking the important questions here :) The spork. 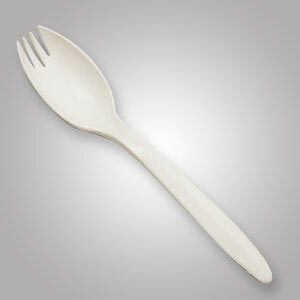 For those of you who don't know what a spork is, here is a visual aid. Kate's favorite food is chips and salsa--and guacamole as mentioned above :) Jill's favorite food is Spaghetti or Thai...haha...she loves noodles...oh and chocolate of course. Jill's favorite color is orange, Kate's is pink. Kate's favorite song she's ever written is a new one called "Don't Feel A Thing." Jill's favorite song she's ever written is "Finding My Own Way." We both majored in Communications. That's right. We can communicate like no one's business. (haha) Before we sang with Kelly we were still "jillandkate"---we played shows & wrote music and worked a plethora of awesome odd jobs. Kate's favorite actress is Julia Roberts or Sandra Bullock. Jill's favorite actress is Sandra Bullock. Kate's answers: favorite band of 2009 would probably have to be Kings of Leon. I could not live without Patty Griffin's music. She is a genius. Her song "Top of the World" definitely changed me. I love that song. I'm probably not going to watch the LOST finale--maybe someday but I've only watched Season 1 and part of Season 2 so I need to catch up before I watch the series finale :) Favorite movie of all time??? I hate this question. I never know what to say and I always feel that people judge me based off of my movie choices. So don't judge me please. These movies don't say anything about me or maybe they do...who knows. So here we go... "First Wives Club" or "The Rock." Alison, we are trying to work out a show in the land down under. It's definitely on our goal list. We are thankful that if we do play there we can count on you coming. So if we do come--you are in charge of marketing. Deal? Deal. Okay awesome. Sweet. I (Kate) love the architecture in the UK and love taking walks and exploring the cities we end up in. Taking pictures of the random places we are in overseas is always a hobby too. I (Jill) love the taxis, the hats that the doormen wear, and the breakast. The UK has amazing breakfast! We were in Nashville for New Year's Eve. We were crazy, wild people. HA. Just kidding. In some people's eyes we were lame--call us lame if you want--we don't care--we were at home--which we are NEVER at home so that was AWESOME! Best moment ever??? That's a pretty monumental question Mary. Hmmm... 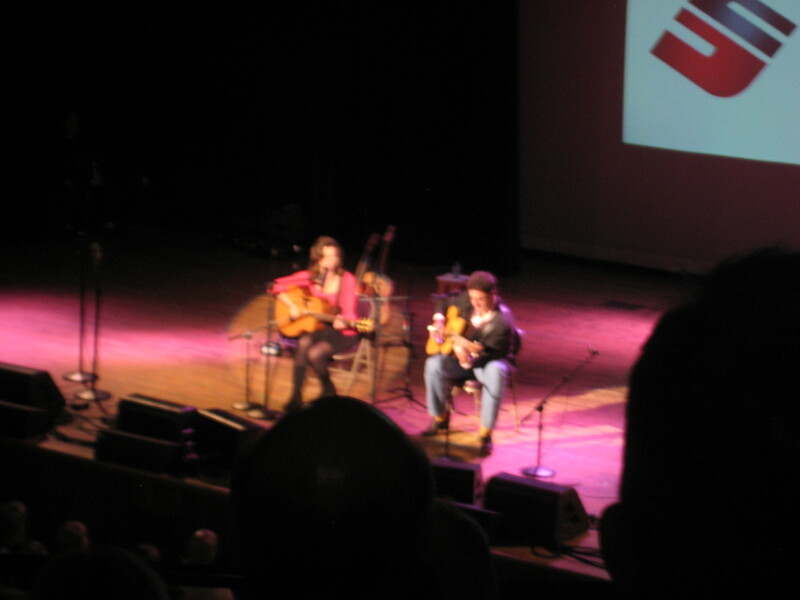 This picture describes one of the best moments ever...seeing Amy Grant and Vince Gill at the Ryman. The picture is blurry but you get the idea. 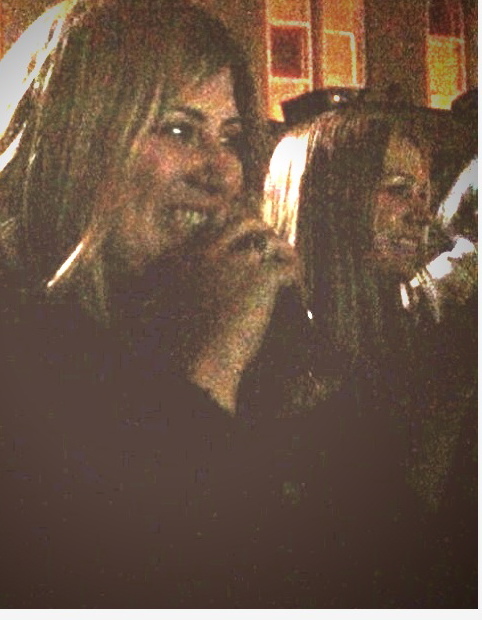 Thanks to Jason Halbert for snapping a pic on his phone of our faces when they walked out on stage. We are VERY excited about recording. Like, ridiculously excited. It's hard work and can take hours upon hours of tedious work, but it's so worth it. Love the studio. Noreen. Cool name, btw. We are going to start selling them online soon...sooooooon. So when we do, we'll let you know. For sure. Promise. Cross our hearts. Kate, when you come home to Chicago, where are your favorite places to go? Jill, how long have you been playing the guitar and the piano? Was it something your parents suggested you learn or was that all you? Where do you get your inspiration for writing? -Ashley C.
One of my favorite places to go in Chicago is a place called Graham's. They have THE BEST root beer floats. I didn't really even like root beer floats until I started having them there...they are delicious. My dad and I go there everytime I come home for the holidays. It's special. I (Jill) have been playing the piano since I was 8 and the guitar since I was 11. I think my mom and my great-grandmother suggested I take piano lessons and after that I decided to pick up the guitar. I took the Suzuki method of piano which is learning how to play by ear so I don't read music hardly at all. Haha...lame, I know! But I love both instruments. Look no further than yourself and the people around you for inspiration in songwriting. People are definitely the biggest inspiration for us when it comes to writing songs. People who you love, people who hurt you, people you want to hurt (haha), people that you see making mistakes or when you make a mistake, when you grieve, when you lose, when you love...all of those things can inspire songs. Kate's favorite song is "Top of the World" by Patty Griffin. Jill's is "Stay" by Lisa Loeb. 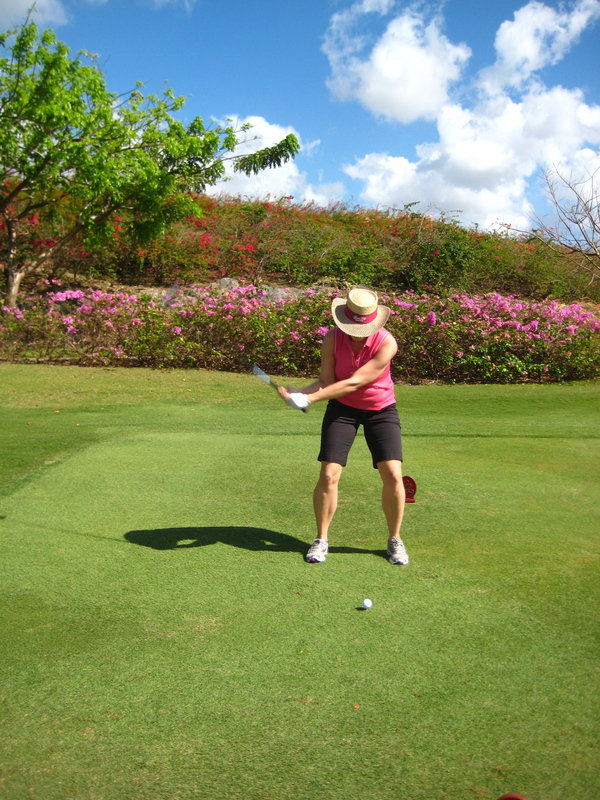 Yes that is me in the golf picture. That's right people...I've got some muscle somewhere. Haha. Happy now? Alrighty, that's all for now peeps. Keep checking in. Lots of fun to be had.